Projects and renovations make a difference! 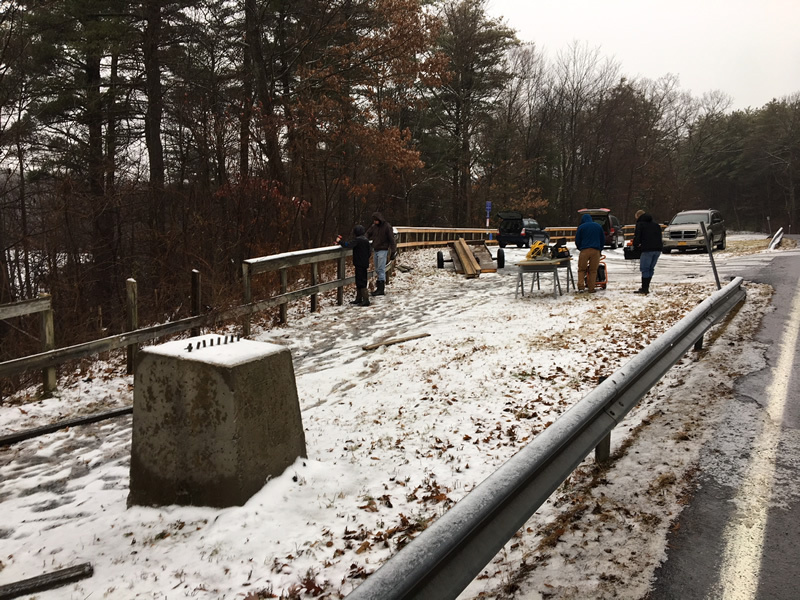 Local community members have volunteered their time to repair and replace damaged guardrails on Lawson Lake Road. Check out the pictures here! 2016 projects and renovations made a difference! 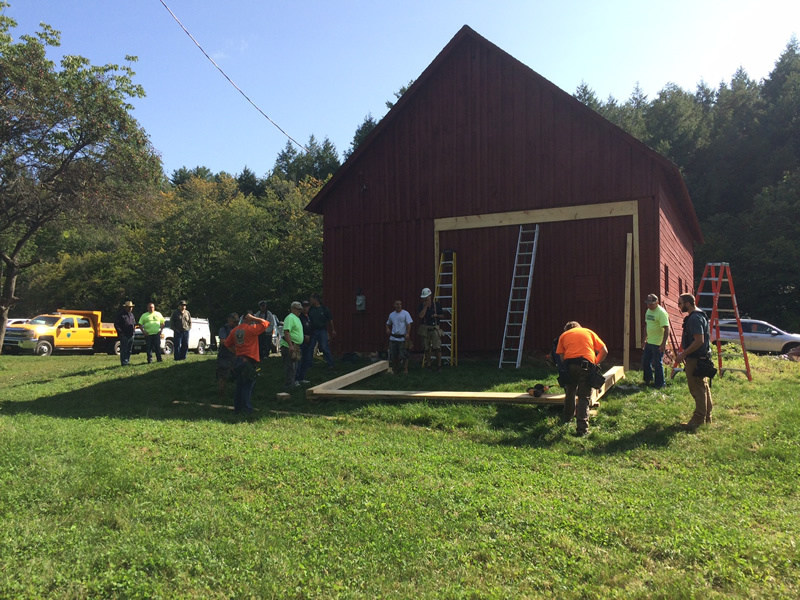 2015 was a busy year for renovation projects at Lawson Lake! The beginning of the year saw a soft opening of the new Visitor’s Center, with new informational signs. Work on the Visitor’s Center continues, as a new ADA-compliant bathroom is being installed, along with a working kitchen. 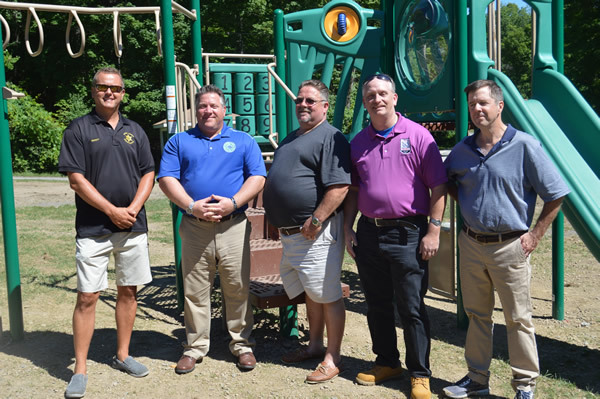 The Carpenters, Laborers, Bricklayers, Painters, Operating Engineers, and Ironworkers unions all played a part in various renovations to the buildings at the lower camp. New tin roofs were installed on two roofs by the Parkview Community, and all buildings were re-screened. The fireplace in Waldman Lodge was repaired, and buildings were painted. 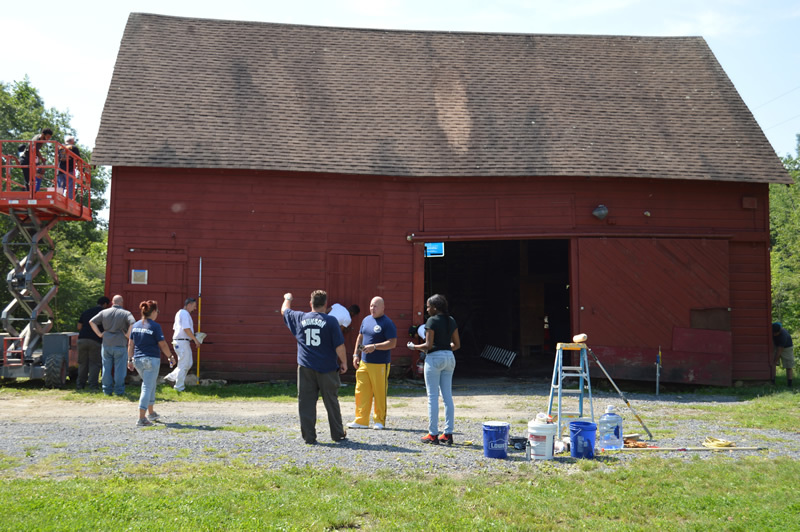 We received a $5,000 grant from the Hudson River Valley Greenway to renovate the barn, and with the help of our Union brothers and sisters, and our crews at the Albany County Departments of General Services and Public Works we were able to complete the work. Inmate work crews from the County Jail once again helped with clearing brush and making the park suitable for use for the summer camps.